Iran signed deal to buy 60 Boeing jets - IRAN This Way: Become familiar with Iranian lifestyle! Iran’s Aseman Airlines on Tuesday signed a deal to purchase dozens of passenger planes from US aviation giant Boeing. Under the agreement, the airlines will buy 30 Boeing 737 MAX airplanes worth $3 billion. The deal also gives Aseman the right to purchase another 30 of the Boeing’s twinjet narrow-body passenger planes. 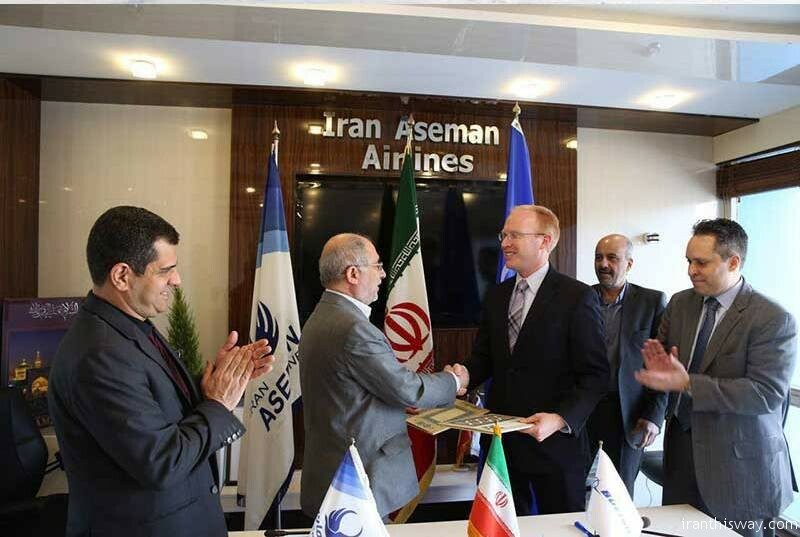 IRNA said that representatives of Aseman and Boeing signed the agreement in Tehran covering as many as 60 jets, including options, after a year of negotiations. Owned by Iran’s civil service pension foundation but managed as a private company, Aseman is Iran’s third largest airline by active fleet size, according to the CAPA consultancy. Tehran-based Aseman Airlines has a fleet of 36 planes – half of them the 105-seat Dutch Fokker 100s. it operates them on flights to 40 domestic and 13 international destinations, according to its website. However, it was banned from flying into the European Union over safety concerns in December. Its three Boeing 727-200s are almost as old as the 1979 Islamic Revolution, having made their first flight in 1980. Boeing described the deal as a “memorandum of agreement,” a type of transaction that falls short of a binding contract and is subject to government approvals. The Aseman deal still has to be approved by the US government. Boeing said it negotiated the agreement under government authorizations. If completed, the main part of the deal for 30 jets would be worth $3.4 billion at list prices, though airlines typically win discounts of around 50 percent for large deals. In the statement on the latest deal, Boeing cited US Department of Commerce data suggesting an “aerospace sale of this magnitude creates or sustains approximately 18,000 jobs in the United States”. Deliveries to Aseman would start in 2022. 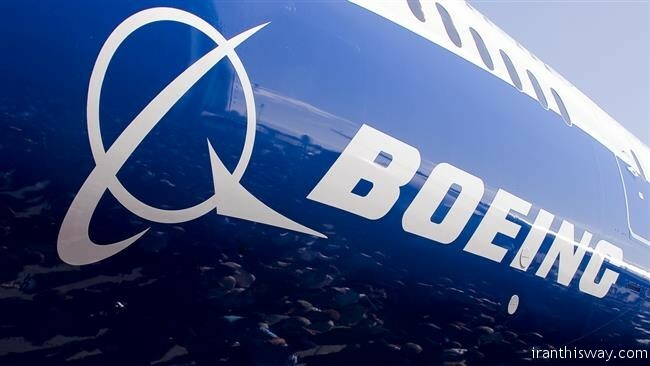 “Boeing continues to follow the lead of the US government with regards to working with Iran’s airlines and any and all contracts with Iran’s airlines are contingent upon US government approval,” Boeing said. Boeing 737 MAX planes – that would enter service in the second half of 2017 – have a passenger capacity of 130 people and are specifically adequate for domestic and regional flights. The planes that Aseman Airlines has purchased from Boeing would increase the company’s passenger transportation capacity to above 8,000 seats, Aseman emphasized. Even before the latest Boeing deal, Iran’s Civil Aviation Organization said plane purchases would create 20,000 direct jobs, and thousands more indirectly. “Currently, 500-700 co-pilots are unemployed in Iran,” CAO official Mohammad Reza Kazemipour said on Monday, adding that the new fleets would bring “tens of billions of dollars in revenues for Iran”. The memorandum of understanding is the second big agreement Boeing has reached with Iranian airlines since sanctions were eased in January 2016 after an international agreement on Iran’s nuclear program. Boeing is to provide 50 planes of the same type to Iran’s flag-carrier airline Iran Air through a similar agreement. The overall value of Iran Air’s order that also involves 30 long-range wide-body 777 aircraft is estimated to be $16.6 billion. Iran Air said in December 2016 that Boeing would start to deliver the planes in 2018 and the deliveries would be completed within 10 years. Iran has already received the first three of a total of 100 Airbus planes that it has purchased from the European company through an agreement worth around $18 billion. More deliveries are expected to take place in the coming months.